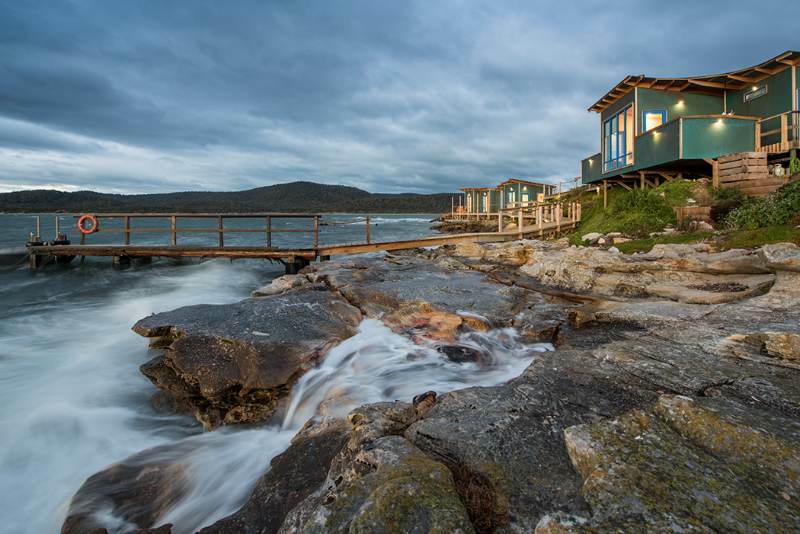 This is a life changing experience on your own private island within Freycinet National Park, Tasmania. Picnic Island is situated 800 metre offshore from Coles Bay and Freycinet National Park. 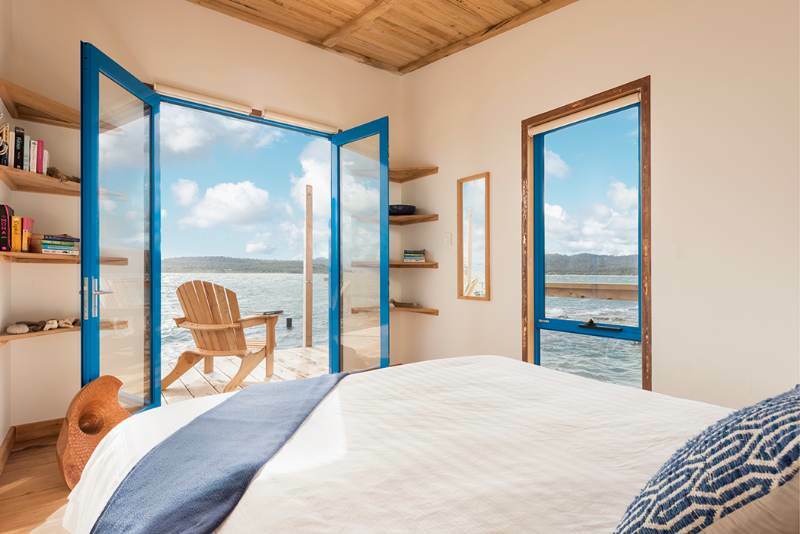 The island offer architecturally and environmentally sensitively designed lodge. This little copper clad retreat is designed by legendary local architect, John Latham and is located just around the corner from one of the top beaches in the world, Wineglass Bay. Lose yourself in the natural beauty of this place with the majestic backdrop of the pink granite Hazards mountain range. 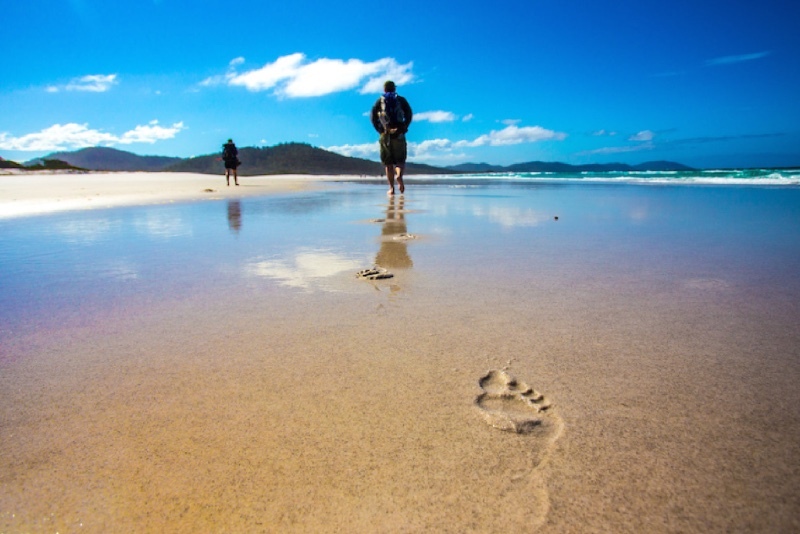 This 4 day Ultimate Picnic Island Walking and Kayaking trip is a truly unique experience. Private island, spectacular coastal wilderness, Wineglass Bay and and abundant activities such as walking, yakaking and wildlife encounters. 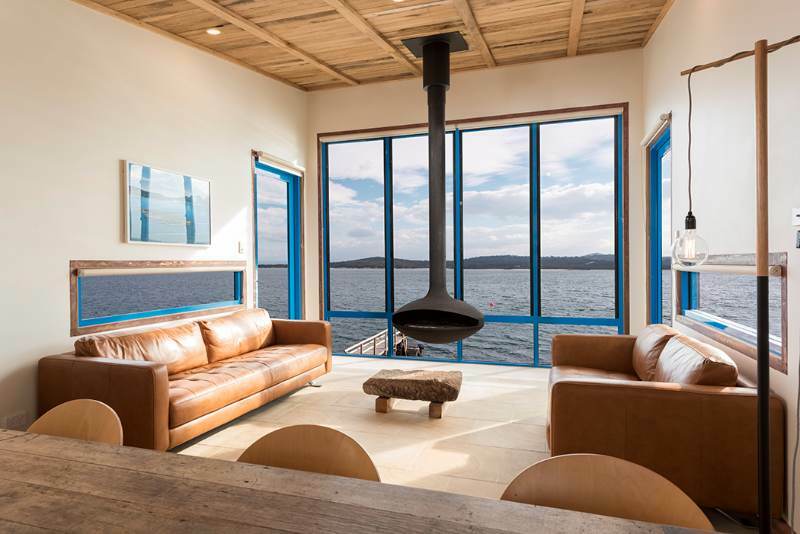 Your accommodation will be in a luxurious cabin overlooking the water on the island. 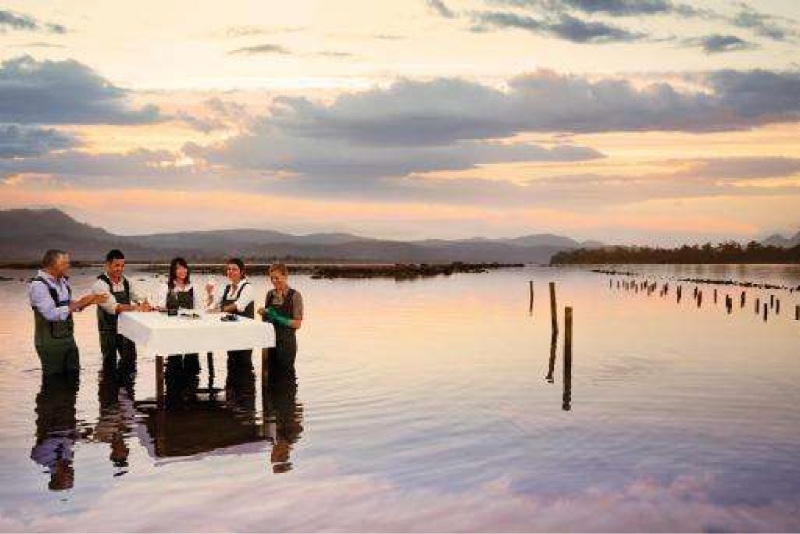 Your meals are prepared lovingly in the ‘birdhouse’ on the island by our passionate guides and include local produce and Tasmanian wines. Collect you from your Hobart hotel and take you on the picturesque drive up the East Coast. On arrival, the island taxi will shuttle you out to the island for a late lunch. Optional afternoon short walks in Freycinet National Park. 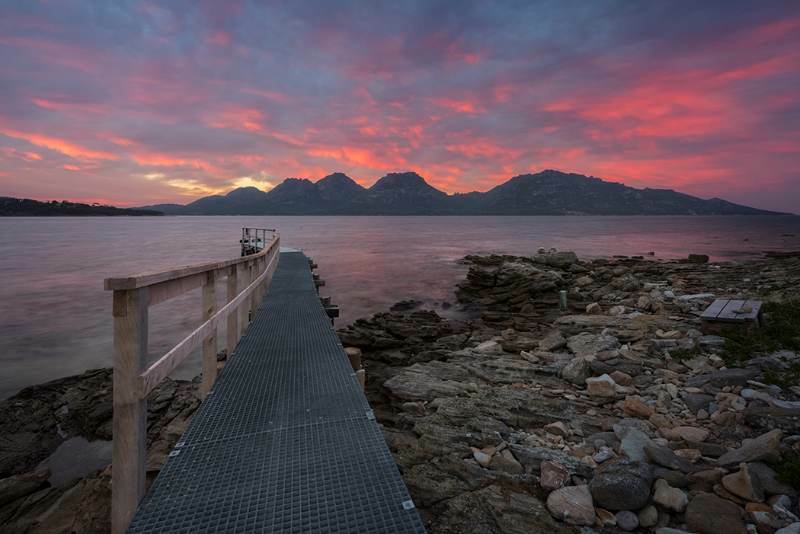 Take the island water taxi down to Hazards Beach to enjoy some coastal walks within Freycinet National Park (4 km). Your guides take you on a hike from Hazards Beach to Wineglass Bay for a picnic lunch. After dinner, you'll have opportunity of a penguin viewing on the island. The morning consists of a walk up Mt. Freycinet (5.5 km) which has picturesque views of the whole Peninsula. 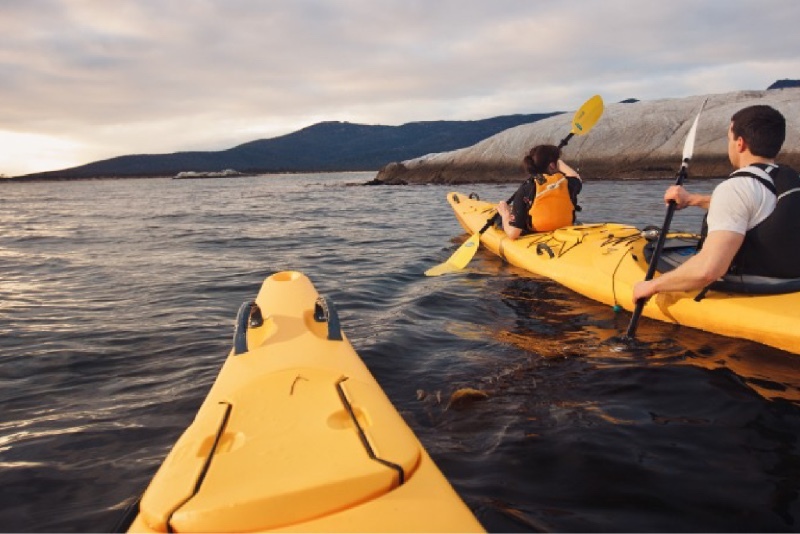 You will undertake the award winning Freycinet Paddle, a 3 hour guided sea kayaking tour at twilight. There is also plenty of 'island time' to enjoy a spot of fishing off the jetty, birdwatching, or relaxing around the island. You will have an oyster tasting at the local Marine Farm followed by a transfer back to Hobart.